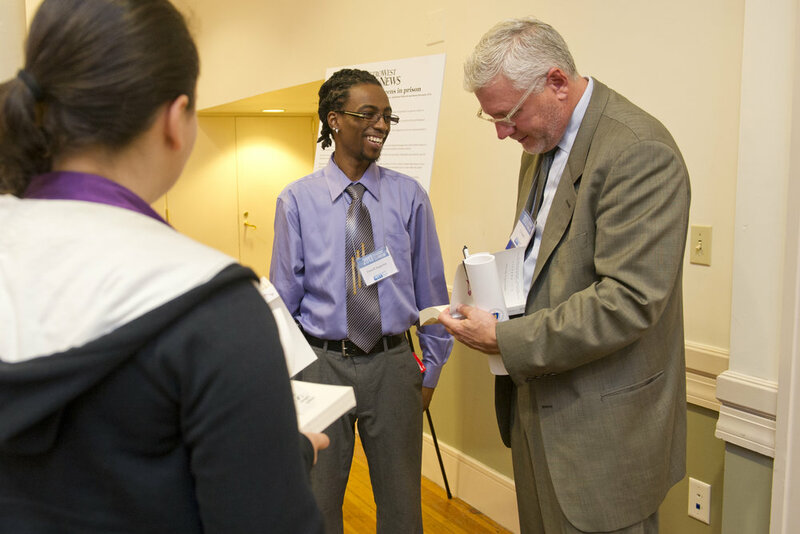 Come learn more about juvenile justice in Massachusetts! CfJJ organizes conferences, forums, and other events throughout the year featuring speakers and workshops on important issues in the field. Our Forums are free and open to the public, providing a chance for community members to meet and question system leaders, researchers, and other experts. CfJJ also hosts an annual Leadership Celebration in late fall to honor individuals and organizations who have made special contributions on behalf of youth, and to help raise money for CfJJ through corporate sponsorships and ticket sales. For more information about our Leadership Celebrations, click HERE. Check out photos from CfJJ's 2017 Leadership Celebration, featuring honorees More than Words and Xavier McElrath-Bey.